Here's a link to the developing AP story on Yahoo! News about Gov. 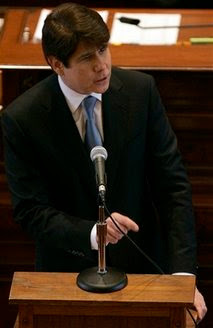 Blagojevich's closing argument to the Illinois State Senate today; it is from that story that this image was acquired. I watched the Governor's speech live on an Internet feed. No puppies were brought in, but there were many appeals to sympathy and references to children and old people he was trying to save. The response to the charges was over in under 30 minutes; the balance of his hour-long talk was a variation on a standard stump speech. At the end, Chief Justice Fitzgerald invited Mr. Blagojevich to remain in the chamber, in the seat that had been set aside for him throughout the trial. The Governor's response was muffled, but it was along the lines of, 'no, that's OK, I don't need to stay. Whatever you do, you do.' Blagojevich left. The Chief Justice then asked the House Prosecutor, Mr. Evans, to give his rebuttal. But State Senate President John J. Cullerton interrupted. He asked for a recess until 1:00pm CST for a caucus. The Republican leader, Sen. Christine Radogno, concurred; she'd like to caucus her members, too. Caucus is a polite word for 'making sure we still have the votes.' We'll see if they do. UPDATE: Herewith a link to the excellent Capitol Fax Blog summary of the Governor's speech. UPDATE #2: Caucusing again. Here's the link to Mr. Miller's summary on the Capitol Fax Blog of Mr. Ellis' rebuttal. These infernal caucuses are one way in which the impeachment trial differs from a trial in court: Sure, there are interruptions all the time in court, too, but not during and after the closing arguments. As soon as the last lawyer sits, the jury is charged and retires to order lunch. I guess the 'deliberations' of this jury will be in public -- so they're rehearsing now. What will Blagojevich do this morning? A couple of hours from now, at approximately 11:00am CST, Illinois Governor Rod Blagojevich is scheduled to stand up in the State Senate and give a 'closing argument' in a trial that he has -- up until now -- boycotted. Ninety minutes have been allotted for this purpose. Speculation abounds as to whether he will announce his resignation -- or whether Blagojevich will give an extended version of the spin he gave on network and cable outlets earlier this week. Maybe Joy Behar will come in and muss his hair again. Maybe he'll bring in a puppy or a sick child as a prop. What he does -- assuming he actually does show up -- may depend on whether he gets to collect his pension if he is removed from office. There will be a year, maybe two years, before his federal corruption trial -- remember, those charges have not even been filed -- is concluded. He'd lose his pension after conviction anyway -- but what about the next two years? First, I was always taught that a lawyer who takes a case to trial has already lost -- no matter the outcome. There's a reason why over 99% of civil cases filed in Cook County settle before trial: It makes economic sense for both sides to figure out a way to get rid of the case without a trial. Trials are expensive... and their outcomes are uncertain. And the lawyer who has despaired of settling the case loses a great deal of stomach lining in those last few days before a trial starts -- remembering all the things that might have been done, or asked of witnesses, looking up all the cases that might be in point, trying to divine the most persuasive way of framing the jury instructions.... In my experience, at least, giving a closing argument is about the only consolation for the agony of putting on a trial: For the first and only time the advocate is able to pull the whole case together, telling the story of the case as he or she sees it, in the way he or she wants it told. Mr. Blagojevich has apparently figured out a way to do the only fun part of a trail without suffering through the painful proceedings that precede it. Second, the greatest damage Mr. Blagojevich has done is to civics teachers around the country. His 'constitutional' arguments about confronting witnesses and issuing subpoenas have zero merit: He is facing an impeachment trial, not a criminal trial. (Not yet.) An American President can only be impeached, according to the nation's Constitution, only for "high crimes and misdemeanors." Mr. Clinton was spared, in large part, because Senators could legitimately doubt whether Clinton's perjury about his extramarital affairs met this standard. There is no such standard in the Illinois Constitution. Here, a governor may be impeached and removed from office for any reason. It is first, last and only a political process. In theory, a sufficiently Republican legislature could go on impeaching Democrats elected statewide until they got to one of their own -- and vice versa. (This couldn't happen in Blue Illinois -- Democrats control both legislative chambers and all statewide offices.) Political reality helps to keep this from ever happening: No one is likely to vote to remove a governor from office if the senator's constituents will turn him or her out of office in retaliation. Political fantasy plays a role also: Politicians imagine themselves rising through office after office. No one would lightly do to another what might be done to him when he attains that office. But did interviewers sufficiently challenge Blagojevich when he spouted his wacky, distorted conflation of judicial and political processes? Nope. And I'm afraid that many people have been taken in by what he's had to say. I've heard -- and heard reports of -- call-in shows on both liberal and conservative radio stations where callers have spouted Blagojevich talking points as if they made sense. If there are enough gullible people concentrated in enough state senate districts... well, Blagojevich needs just 20 out of 59 votes to survive today. UPDATE: The Capitol Fax Blog cites this 'breaking news' story on the Chicago Tribune website for the proposition that Blagojevich's pension is safe -- for now -- even if he is removed from office today by the State Senate. The odds that he he will say anything along the lines of 'you can't fire me, I quit' are now greatly reduced. But, again, anything is possible. On a couple of occasions I have mentioned working in the dining hall while in college. I've mentioned my work cleaning dishes and, later, during law school, as the weekend security guard. There was one other task I performed in the dining hall. Though I did it only once or twice, it left a lasting impression. On these occasions, I was asked to be a server. A server was a person who stood behind the counter and scooped out quantities of whatever item the student requested. At the colleges my kids have attended, I've noticed that there aren't very many servers any more. There's usually someone grilling hamburgers or handing out pizza -- but the kids now obtain most items on their own. There are islands of items set out in the center of a large serving area. In bigger schools there are so many serving islands, it can be almost a maze. So some of you may not have a clear picture of how our school cafeteria was arranged. There was a single serving line. There were stainless steel rails on which one could set a tray and slide it along while selecting items. A kid didn't double back (unless he had a cast-iron stomach and was looking for seconds). There may have been a separate salad area -- but I doubt it. I remember clearly that the industrial-strength white bread and the oiliest peanut butter anyone has ever seen was at the end of the line. I often used the white bread to disguise whatever entree I was eating. Though I still eat peanut butter, nearly every single day, I hardly ever touched the approximation that was offered in our school cafeteria. Most of the regular servers were non-English speakers -- Greek, I thought, and Eastern European. Kids pointed; servers doled out the glop. At the time I was asked to fill in for one of the servers I was fairly well known at my school. I wrote for the school paper and was a member, to varying degrees of involvement, in most of the student organizations. Ours was a relatively small school and the resident population was a small percentage of the total enrollment. This was the only resident dining hall and, one way or another, I knew most of the residents. I may not have known everyone's name, but I had at least a nodding acquaintance with the vast majority. Still... when I put on the uniform of a server, including the funny-looking paper hat, I became... invisible. Maybe it didn't bother me at first, not right away. I don't remember why I was filling in or whether it was a weekday or a weekend but I'm certain I was happy to get that $1.75 an hour or whatever princely sum was offered for this service. But, after awhile, it began to grate on me. People -- people I knew -- were merely pointing at trays and waiting for me to ladle out the item selected. Point, scoop, plop. Perhaps a grunt or two was made. But there was no flash of recognition -- no acknowledgment, even, that the person passing out the chow -- me! -- was anything more than an automaton. Increasingly irritated, I began to greet people by name. There was a visible, and painful, delay, while the person greeted processed the hearing of his or her name, looked up to see where the noise had come from, and eventually figured out that someone that he or she knew was speaking. An embarrassed flush would follow and perhaps a stammered acknowledgment. But if I said nothing, no one said anything to me. Point, scoop, plop. Point, scoop, plop. And I learned a valuable lesson. I never again merely pointed and grunted when I was on the other side of the line. I made eye contact. I said hello or good evening or howyadoin'. I would get a smile in return, a nod, a hello. This was good. I'd also get bigger portions. This was often a mixed blessing. Now we move up to the present day. Anyone who has been to Chicago's Loop knows there are often beggars on every corner. In the warmer weather, there are often beggars in the middle of the block, too. There are also StreetWise vendors -- not beggars, these are persons who may be homeless, but who are selling the magazine as their job. In the Bible we are told that, at the end of days, Jesus will come back and separate people into two categories, saved and condemned, the sheep from the goats. The sheep will be saved because, when Jesus was hungry, they gave Him food to eat; when He was thirsty, they gave Him drink; when He was naked, they clothed Him. The goats will be confused. He will tell them that they denied Him food when He was hungry, drink when He was thirsty, clothes when He had nothing to wear. The goats will cry out -- when did we see You hungry or thirsty and fail to give You food or drink? And Jesus will tell them that whatever you did for the least of My brothers, that was what you did, or didn't do, for Me. If that's really the way to get into heaven, it is a frightening thought. Because I can't buy a magazine from everyone, and I can't (and wouldn't) give money to every bum on the street. (Many times you know that any money provided would just go for booze or possibly drugs.) But there is something I can do. I hope it's enough. I can say hello. I can make eye contact. I can say 'not today, thanks' to the StreetWise vendor. There are bums that are pushy. If you make eye contact with such people, some of them will follow you to your destination and berate you along the way. I quickly learn not to say hello to them. But there are regulars on some corners I pass by every day. We greet one another now. I don't have spare cash to dole out but it does not matter. Or at least it does not matter much. Because people appreciate being treated as people -- and not as though they were invisible, as I was, back in the serving line in college. From a productivity standpoint, I like mornings, like this one, where I have an early court appearance. Particularly where (as here) the time is billable, an early morning court appearance gets the day off to a running start. Lately I've been moving slower than molasses in January. Since it's January right now, this is no mere allusion: It is a verifiable fact. This morning I was moving so slowly that Long Suffering Spouse gave up waiting for me and took Youngest Son to school herself. Even after the belated completion of my morning ablutions, I still had 15 minutes or so to browse the Internet. Not enough time to post, but enough time to follow links on interesting topics. My problem -- or one of my problems, anyway -- is that I am interested in a lot of things. If I were more narrowly focused -- on building my practice, for example -- I might be I'm sure I would be better off. But, alas, I don't have that time today. And there we have another dilemma in blogging: I can't always write something substantive, but I can always write something. I've just done an overlong post explaining that I don't have time to write. The very few of you who've started down this essay hoping that I might eventually get to something that might enliven your day are about to be cruelly disappointed. Because it's time to leave for court. Post 971 should be better. I hope. I'm still getting used to the idea that we now have a President who is younger than I am. Bill Clinton was very young when he became President, too, but I was a lot younger in 1992. Having experienced a few presidential transitions during my adult life, I can compare and contrast them -- and see how the bright promise of a new beginning so quickly fades. Speaking of Bill Clinton, when George W. Bush succeeded him, there was a general sense in the country that the adults were getting back in control. Clinton had been the frat-boy-in-chief, immature and irresponsible in his personal life, and he seemed to surround himself with young people, the 'policy wonks,' ordering pizza in at all hours. The general level of churlishness and childishness reached its zenith in the last-ditch strategy employed by Al Gore's partisans in challenging the outcome of the 2000 election. Some of you will be angry with me for saying that, but consider: Richard Nixon -- Richard Nixon! -- had a good case to make that the 1960 election was stolen from him. It was no secret that the razor-thin margin in Illinois was the product of massive vote fraud. (Richard J. Daley, the father of our current Mayor-for-Life, was happy to take credit for putting an Irish Catholic in the White House; that fuels the legend. What most folks didn't understand then and don't know now was that John F. Kennedy was merely a third party beneficiary of Daley's all-out crusade to defeat the reelection bid of Cook County State's Attorney Benjamin Adamowski, a Republican and an apostate.) Less well known now are the shenanigans that took place in Texas, which also went for the Democrats by a narrow margin. Read Robert A. Caro's biographies of Lyndon Baines Johnson, though, and you'll know what I'm talking about. If the fraudulent votes were tossed out in both states, it is just possible that Nixon would have won the presidency. When the Bush people moved into the White House, many found their offices vandalized by the departing Clintonistas. Removing the W's from many of the White House computer keyboards was among the more humorous, and least damaging, pranks. Rumsfeld and Cheney? Popular wisdom isn't always wise. And therein lies my point: Things don't always work out as planned. In fact, things generally don't work out as planned. Now, as we celebrate the launching of Mr. Obama's administration, many are comforted by the fact that he is bringing along with him so many wise and seasoned veterans from... the Clinton years. Some may still have W's in a drawer somewhere. I wish Mr. Obama well. But his agenda will now be set by events. And we can't tell -- even from an auspicious beginning -- that things will work out alright in the long run. For his sake, and ours, I hope it will. I long ago failed Blogger Etiquette 101. Basic blogger courtesy apparently requires a reply to every comment, if only to prove you've read the comments, I guess. This morning I found a nice comment by from JM, or Java Mama, as she calls herself on her site. JM is a homeschooling parent who came here via Heads or Tails... and then stayed to read, and comment on, something else. So I went to her site to nose around a bit and was pleased to find she'd even posted a link to yesterday's cell phone post. You think rationally, clearly, and quickly. A seasoned problem solver, your mind is like a computer! I don't understand half the acronyms in the comic, but I sure do get the joke. And, more, I agree: The more we 'simplify' our lives with new devices, the more complicated things become. A real-life case in point from Friday night: Long Suffering Spouse was out with Older and Younger Daughters, shopping for wedding and bridesmaid dresses. I was at work. Youngest Son stayed after school for a baseball workout; his plan was to stay after that to watch the sophomore and varsity basketball games. I would pick up the boy thereafter. If you think he and I were doing our darndest to avoid any interaction with the dress shopping, you'd be absolutely correct. Long Suffering Spouse knew what we were up to, but as long as I was hiding in my office, with the computer in front of me, she would call periodically with questions about stores or directions. Finally, though, I could hide in my office no longer. I needed to move my base of operations home where I could more readily pick up the boy. I apparently had left my cell phone on all day. At the end of a long week, my personal batteries were running pretty low. My cell phone batteries were in full agreement. As I walked to the parking garage, my cell phone rang -- and the low battery alarm beeped as well. It was Youngest Son: It seems the generator at school was also tired at the end of the week. The lights had gone out in the gym. The varsity game would be canceled in five minutes or so if the lights did not come back up. Fine, I said, I would start out in his direction intending to pick him up. I could always divert if the lights came back on -- but, for now, I was heading in his direction. A train was rumbling by on the elevated tracks overhead. He couldn't hear me well; I couldn't hear him well, either. But he got the gist of the message. I was just about to back out when the phone rang -- and beeped -- again. It was Long Suffering Spouse with a question about the dresses. That question may be taken up in a future essay. To avoid tangling the narrative thread here, suffice it to say that, having addressed that issue, I brought Long Suffering Spouse up to speed about the lights at Youngest Son's school. I advised of my intentions regarding picking up the boy. I advised that my battery was low. I terminated the call. It takes awhile, even at 7:00pm, especially on a Friday, to get out of the Loop and onto the expressway. At the stoplight at Ontario and Orleans, I dialed Youngest Son. By now, I reckoned, Youngest Son would know if the game had been canceled. But my phone just beeped and went off. The battery was kaput. No, I don't have a car charger. But I come from a simpler time, a time when it was not expected that we would be capable of immediate communication with one another at all hours of the day no matter where we were. My logic, I believe, was unassailable. Having promised to start out for school, I would continue on that course. The game was either canceled or it was not. If it was not, Youngest Son would still be there, embarrassed to see me, as all teenagers are embarrassed by any public interaction with their parents. I could always leave and come back later, if the circumstances warranted. If the game was canceled, Youngest Son would be there waiting, with growing impatience, for my arrival. When I arrived at school, having moved with possibly a slight disregard for the posted speed limits, I knew at once the game was canceled. The entire building was dark. In fact, approaching in the dark from a different direction than usual, my first thought was that I had somehow missed the school and was passing a forest preserve. The parking lot was mostly empty, too, and, once I got oriented, I could see there were cars pulling in and out of the lot with some regularity. I parked my car and walked in. Nope, I noticed, he's not in the lobby. "I know," I replied, "but my cell phone has also had a power failure so I am forced to search for my son the old-fashioned way." "Good luck," said the security guard. "There are still some kids by the refreshment stand, I think, helping to close out." Since Youngest Son sometimes helps out there, I thought it was a good place to begin my search. I thanked the nice lady and moved on. Youngest Son wasn't there. Nor was he at home. He had decided to go to a friend's house. He got someone to drive him. Reconstructing events afterward, I believe that I was a victim of new assumptions concerning communication. In the modern age, apparently, when someone doesn't answer their cell phone, it means that he is being rude or deliberately evasive: He could answer but simply chooses not to. This is what Youngest Son figured, at least, when he couldn't reach me, despite repeated attempts. He was so anxious to move on to his friend's house that he risked calling his mother and sisters during the course of their dress shopping. They began calling me, too, with increasing alarm -- even though I told my wife my battery was low and even though she knows I have no car charger. I don't drive that often that one is needed. So, while I'm wandering around the school, I'm the only one in the family who doesn't know where the kid is. For all I know, the information regarding his current whereabouts may even have been posted on Facebook. But I didn't know. I went home, frantic, intending to call the kid's cell phone from there and figure out where he'd gone. I wasn't looking forward to telling Long Suffering Spouse I'd lost her youngest child. There was a flashing light on the home answering machine as I walked in the door. I did not take off my coat. I ran to the machine to push the button to hear the message. It was a call from Youngest Son. 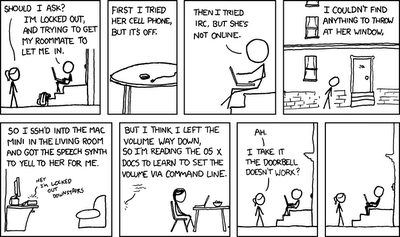 I'd figured out little more than that when the phone rang, terminating the playback. It was Younger Daughter. "Your phone isn't on," she began, and I blew up at her, telling her in loud and brief and pungent phrases that I knew very well that my phone wasn't on and that I needed to use the land line, that she was calling on, to track down the whereabouts of Youngest Son. When I paused to take a breath -- and this took awhile -- she told me where her brother was. "Well, why," I asked, exasperated, "didn't you start out with that instead of telling me something I already knew?" Yes, cell phones simplify our lives. Or give us apoplexy. I guess this essay will not be made into a cell phone commercial any time soon. Perhaps a commercial for car chargers? We interrupt the media's all-Obama, all the time coverage to play Heads or Tails, the weekly meme, brought to you by Barb, of Skittles' fame. In today's installment, we may consider feet -- those appendages traditionally protruding beneath the ankles -- or, alternatively, a measure of distance. I could write about shoes, I suppose, and tell you how Youngest Son's newest pair are so large they subject to requisition by the Secretary of the Navy in time of war. His feet are now each longer than a foot. Which seems rather contradictory when you look at it. I fearlessly predict that this cartoon will cut out and taped onto, or next to, copier machines all around the country today. I'm proud of my ability to clear most paper jams from our copier here at the Undisclosed Location. Just the other morning, when I came in, I heard a strange noise coming from our kitchen/ copy room: One of my colleagues had gotten the machine jammed after I'd left for the evening. Though he made efforts to rectify the problem on his own, he was unsuccessful. The red "error" light was flashing on the machine console, a repeating scarlet accusation in the darkened copier room. Embracing the challenge, I followed the instructions on the screen and soon opened the doors and moved the necessary levers to expose the problem. Within the space of few minutes, the singed paper was extricated and the machine restored to functionality. There was no one here to acknowledge my feat... but I was not seeking the applause of the crowd. I was just doing what I'd been trained to do. OK, so it's not landing a plane safely on the Hudson River. But it's pretty much all I got. Sorry. Judging from the way it works, or doesn't, in other countries around the world, a near-miracle will take place tomorrow in Washington D.C. when Barack Obama takes the oath of office as the 44th President of the United States: Once again executive power will be peacefully transferred in the United States. This is not a partisan screed against the outgoing Occupant. 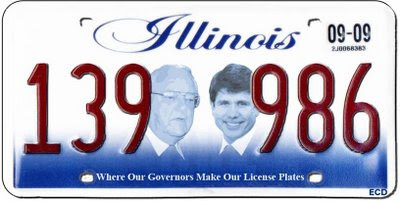 Yes, here in Illinois, surely among the bluest of Blue States, I've seen bumper stickers since 2004 that said, simply, "1.20.09." These were proudly displayed on their cars by American citizens who hated and feared George Bush. There are many places around the globe where persons who hate and fear their leaders -- but in all too many countries they have no assurance that their rumpot, crackpot, or tinpot dictator will ever leave, except when carried away by death. To publicly advocate a change in government in those countries can lead to beatings, arrest, or even death. But here, in America, we know -- we know -- that Mr. Bush will lay down the burden of office tomorrow and Mr. Obama will pick it up. Handshakes will be exchanged, not blows. King George III may have ended up crazy, but he was pretty sage when he said that, if George Washington voluntarily surrendered power, Washington would be the greatest man in the world. And Washington did it twice: First, when he stepped down from command of the Continental Army, which surely would have made him King (or, perhaps, Dictator -- the old Roman forms were appealing to our revolutionary generation and that word hadn't yet been forever altered by the 20th Century) and, later, after serving two terms as President. Every American school child should know by heart what Washington said to John Adams on the occasion of Adams' inauguration (but probably too few do): "I am fairly out and you are fairly in. Now we shall see who enjoys it the most." Mr. Obama may have occasion to recall those words in the days and weeks ahead. We are soon to lose another member of the Gang of Four that originally leased space here at the Undisclosed Location. The first of our group to depart also departed this earthly plane. Happily, our latest defector is merely moving to Florida. After nearly 40 years practicing law in Illinois, our colleague has taken, and passed, the Florida Bar Exam. For those who may not know, some states allow lawyers from other states to move in and start up their practices just as if they'd been schooled and licensed there in the first place. This is called "reciprocity." If State One and State Two have reciprocity, lawyers in good standing from State One can move to State Two with minimal regulatory fuss. In fact, we hope they do is the unspoken part of any reciprocity agreement. We've got enough lawyers,er, problems of our own. But the system of reciprocity breaks down when State Two is in a warm, sunny clime and it's 10 below zero in State One, as it is here in Chicago this morning. Florida does not offer reciprocity for lawyers wishing to relocate. It erects barriers for barristers that are nearly insurmountable. 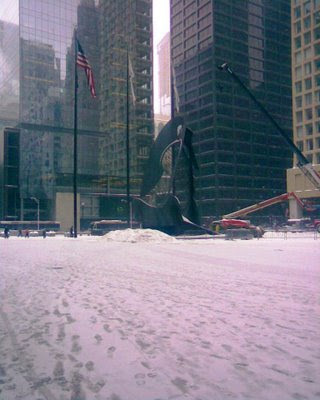 Taken at the Daley Center yesterday while it was snowing vigorously. If I were a better photographer you'd be able to discern flakes. And not just the lawyers, either; I'm talking about precipitation. There's a foot and half of snow on the ground here. It's a Winter Wonderland! Why would anyone want to leave? Taking the Florida Bar Exam is merely the beginning of the process. In Florida, the Board of Bar Examiners insists on reviewing a lawyer's entire life and career, in numbing detail, before deciding that a relocating lawyer has sufficient character and fitness to practice law in the Sunshine State. The stated reason for this painstaking assessment is that the relocating lawyer may have pulled the wool over the eyes of those charged with protecting the public back in State One; therefore, the people of Florida are well-served by this heightened vigilance. The real reason for this strictest scrutiny is to protect the livelihoods of those already licensed in Florida. You can move here, is the attitude, but why don't you retire already like everyone else? Presumably, some do get discouraged. Our colleague, though, is made of sterner stuff. They've been sifting through his life and career for a year since he's passed the actual bar exam, and still he persists. He believes his application to practice in Florida will be approved any day now. He has great faith. He came into the office yesterday for the first time this year. (He'd been at his Florida condo since before Christmas.) With him he brought still more snow and the promise of 48 hours or so of sub-zero temperatures. He was polite enough not to gloat -- too much -- about the pending move. I'm not really sure how Long Suffering Spouse browbeat him into parting with this money, but mine is not to reason why, mine was but to fill out the deposit ticket and stand in line. When I got to the window, the nice lady teller had a question: "Is this your account?" Now, the account is in the name of Long Suffering Spouse as guardian of Youngest Son, a Minor. I don't look particularly female, especially late in the afternoon as my Nixonian shadow grows, and I doubt she had me had mistaken me for a minor. But I did not give the young lady a hard time. Instead I answered truthfully, "No, this is my son's account." "In that case," she said, "I'll need to see some ID." "Pardon me?" I asked. I could certainly understand a certain wariness, even a polite refusal, were I trying to take money out of the boy's account. But I was putting money in. "It's a new policy," she told me, with some embarrassment. "We have to have an ID if you're trying to deposit money into someone else's account." I therefore surrendered my driver's license and the nice lady teller made some cryptic notations on the deposit ticket. Obviously, I thought, watching this bizarre scene, the job of Soulless Megabank's Vice President in Charge of Dreaming Up Really Annoying Ways to Alienate Customers was spared in the most recent round of layoffs, although maybe the position was consolidated with that of the Vice President in Charge of Inventing Pointless Ways of Wasting Employees' Time. I can't help but think that one or both of these positions were saved with taxpayer bailout money. I know that makes me proud. How about you? But then -- on reflection -- it occurred to me that this strange new policy may not have been entirely the fault of Soulless Megabank. Just possibly, I thought, the government has become concerned that Osama bin Laden may try and launder Al-Qaeda funds by depositing them in my son's bank account. Let me take this opportunity to assure the government that, should Mr. bin Laden try this sort of nefarious deed, he will fail. At least in part. Mr. bin Laden may deposit all the ill-gotten millions he wants in my kid's account -- so in that sense, I guess, he'd succeed in laundering his money. But he won't get the money back. The government has my solemn assurance that we will speedily withdraw such funds and put them to work reviving our economy. At least just as soon as we pay off our longstanding obligations to Messrs. MasterCard, Visa, and Discover. I wonder if the Department of Homeland Security has a Deputy Assistant Undersecretary in Charge of Coming Up With Silly Ideas for Banks. He or she probably has lunch every week with the Deputy Assistant Undersecretary Who Chooses the Color Scheme for Terror Alerts. So I'm wondering: Who do I blame this latest strange requirement on? Soulless Megabank alone? Or some ill-considered government policy? Beach Bum "Fishing for Readers" -- and aren't we all? Regular visitor and frequent commenter, The Beach Bum, is a little down these days. In a January 9 post, To Blog or Not to Blog, BB lamented that he has only "17 semi-regular readers" -- a number he has since amended to 18 -- and stated, "I had greater aspirations when I began the Blog. I average 60 visitors per week, most coming from Google searches for Haulover Beach (I have written two Blogs on this subject). I’m about to delete them so I don’t get the bogus visitors that spend less than 10 seconds on the Blog and leave after they do not see any pictures of naked people." I read a Blog titled The Beach Bum Report (http://thebeachbumreport.blogspot.com/) on a semi-regular basis. It’s not a great Blog, but at times it has its moments. I thought that you may find it an interesting read. Read his Blogs and leave a comment (positive or negative) on any of his Blogs. What next? A request for three links in a single paragraph? The point is that I suspect all of us are "fishing for readers." Otherwise we could simply jot our thoughts down in a paper diary or type them into a word processing file. In a comment to an October 2006 post, Sharon, whom you may know as Landgirl, of Home in the Highlands, asked this very good question: "Are you writing for publication or to have a conversation with interested people?" It's a question I've thought about many times. It's a question I still can't answer. And, I suspect, it's the kind of question with which Beach Bum is currently struggling. My current answer is that I write to hone my chops. For the discipline of writing something every week day. I can't spend all day at it either; I have work to do. So I have tried to learn to write quickly and well. Of course, that means most of my 'blog time' goes into writing and relatively little is left for visiting. Some bloggers, like "Jean-Luc Picard" or SQT, are very specialized and seem to attract traffic accordingly. (I'd start in linking the health professional bloggers in the Sidebar, too, but I have to leave for court in a few minutes.) Others, like Bee or Barb are clearly very social -- but they don't just cultivate links. They share their lives with their readers. Sometimes things are good... sometimes not so good. You begin to feel you actually 'know' these people. So you drop by to 'visit' as often as you can. But I wonder if all our traffic is down -- on all these different types of blogs. I wonder if our traffic isn't another casualty of the economy. After all, with companies failing all around and people losing their jobs, whiling away the day reading blogs on the boss's Internet may not be something a lot of people can do anymore. It's just a hypothesis. What do you think? Once again, this explanation makes more sense than anything I've read in the business pages. Don't you think so, too? Today's prompt in Heads or Tails is a single word: Bottle. Frankly, dear readers, with two of my kids getting engaged in a week's time (Oldest Son and Older Daughter) the bottle is what I should be hitting. If only I had the strength. I suppose I could send you back to Heads or Tails #37 for a story about Oldest Son demanding his bottle -- something that happened around 23 years before his recent engagement. That's a favorite story of mine. But I won't ask Barb for a pass this week. I may really need it later. Middle Son, Younger Daughter, and Youngest Son all finished their finals before Christmas. Some of the girls that Youngest Son knows had one final deferred until just after the New Year because a snowstorm just before Christmas necessitated the closing of the local girls' Catholic high school. My finals in college and, later, in law school were always after Christmas. I think that's one reason why I've never really watched the New Year's bowl games: These games trigger anxious memories. It doesn't really matter when you schedule first semester finals in Chicago: Weather will complicate things. Most people remember the Blizzard of '79 as the storm that propelled Jane Byrne into office as Mayor of Chicago -- and launched her predecessor, Michael Bilandic, on a judicial career. I remember it as the semester where I barely made it home. I lived at my parents' home when attending law school. They lived in a distant suburb of Chicago -- a place I've heard described as the place where Christ lost His shoes. (No, I don't know what that means either.) It was a full hour riding on the train at non-peak times. I had to walk a couple of miles from the train station to school. At the other end, I had to get a ride because my parents lived at least five miles out of town. I had taken a Family Law course that semester. The same instructor had both day and evening sessions of the course. I was signed up for the evening session; the day class was full when I registered. However, since the day section better suited my schedule, that was when I attended. They don't take attendance in law school. There's homework assigned, but it's never turned in. There are no pop quizzes. There are no 'unit tests.' The instructor may have a class roster from which to call names: That way he or she can grill a kid mercilessly for the entire period about a case the kid has obviously never read. It's great practice for dealing with salary reviews. In the Family Law class, since I was attending the section in which I was not enrolled, the instructor never called my name. I didn't mind. My wife, a grammar school teacher, tries to have 40 or more grades in each trimester because she knows that kids have bad days -- the best of them will screw up once or twice. With 40 grades, those inevitable bad days won't screw up anyone's grade. Woe betide, however, the law student who had a 'bad day' on an exam day. The class 'eager beaver' couldn't even count on an upward 'bump' because of his or her frequent participation: We were given exam numbers. The numbers were put on the exams instead of names in order to reduce the possibility of favoritism. Besides, the class 'eager beavers' were usually annoying twerps. Most of them probably spent their high school years stuffed in a locker. As the final approached for the Family Law class it occurred to me that I wanted to take the exam with the group I'd been with all semester. Seeing all new faces at an unfamiliar time might cause me to lose my edge. (What? You think it's only athletes who are superstitious?) So I asked the professor if I might sit in on the final with the day school section. He was surprised at the question. I had to explain. He consulted his night school roster and, sure enough, found my name. No wonder I never answered when he called on me in that class! He agreed to my request. As a result, I got to take the exam in the afternoon before the Blizzard of '79 really closed in. My mother met the train and we got home. Eventually. I have reason to believe we were the last car to get through on our road for three days. If I'd waited for the evening section exam I would have been stranded on Rush Street instead. But, no, that's not the 'bottle' angle I was going for. I was thinking instead about the method that we believed that some of our professors employed when grading law school exams: Start with a full bottle of whiskey and a stack of papers. It was believed best to be the middle of the pile. We figured that grades would go up as the level of the bottle went down. There would be a point of diminishing returns, though, depending on the ethanol tolerance of the instructor: Papers on the bottom of the pile might simply be marked with a 'C' because, after a certain state of inebriation was achieved, that was the easiest mark to make. There was another rumored grading method, of course. Step 1: Stand at the top of the stairs with the stack of exam papers (blue books, back in the day). Step 2: Throw the papers down the stairs. Step 3: The papers that go farthest are the A's -- the ones that go the least distance are the failures. Most would wind up somewhere in between -- the C's. Scientific studies, the organization claims, show that drivers get distracted while on the phone whether the drivers are using speakerphones or holding the phones in their hands. The linked AP story quotes National Safety Council president and chief busybody executive, Janet Froetscher, as saying, "It's not just what you're doing with your hands - it's that your head is in the conversation and so your eyes are not on the road." I do not doubt the research. I do not doubt that people can get distracted while driving. But whoever reported this "story" didn't ask the obvious question: Don't people get distracted by conversations in their cars as well? You know -- with passengers? Kids? spouses? Mothers-in-law in the back seat? Don't drivers sometimes get distracted by a song on the radio? Or by reaching for change for a toll booth? Just asking these simple, basic questions would have exposed the proposal to ban all use of cell phones in cars as silly. I hardly ever use my cell phone in the car except when I'm running late or need an update on directions. These are short calls. Sometimes, on the highway, over a long stretch, I might chat with someone -- but that's not the kind of driving I usually do. Common sense should be the guide. You would expect common sense to be in short supply among bluenosed meddlers like the National Safety Council -- but, apparently, it's just as rare in the news reporting business. An interview, a proposal, and so many decisions! I was on the phone with a client when the call came in. From the Caller ID it looked very much like Older Daughter's number (which I don't have memorized, but I do know it has an Indianapolis area code), and I knew Older Daughter was in transit between Champaign and Chicago on Friday, so I put the client on hold and took the call. It wasn't Older Daughter. It was Older Daughter's Boyfriend. He was in the lobby of my building and wanted to know if I was available to see him. Sure, I said, come on up. I was still on the other call when he got here. I shooed him into my office and wrapped up my call. The client wanted a letter memorializing the opinion I'd just given. Realistically, I told her, looking over at the Boyfriend, I don't think I can turn it out before Monday. Would that be alright? It would, she said. The Boyfriend's arrival in Chicago was not unexpected; we knew he was staying at our house for the weekend. His arrival at my office, however, would probably mean only one thing. "I suppose I owe you an explanation," he told me -- not an auspicious beginning, but I didn't jump to any goofy conclusions. "No, you don't," I told him, and urged him to continue. He started over again. "Well, I've had the ring now for a couple of months," he said. Much better beginning, I thought. "And I would have given her the ring on New Year's Eve" -- thereby beating Oldest Son's announcement -- "but your daughter got so sick" -- a bad case of the stomach flu, which he'd given her, but why bring that up now? -- "so it seemed like a bad time." I had nothing to add. "Well, anyway, your daughter and I have talked about this for some time. And she's told me that I should talk to you first, that this was important to you." Which is why you were going to give her the ring on New Year's Eve? But this was not a logic exam; it was a hard mission he'd undertaken and I again kept my mouth shut. "So, how would you feel about my marrying your daughter?" I feigned shock, putting my hand over my breast and fluttering just a bit. "This is so sudden," I said. OK, that was cruel -- because, after six years of dating, this was not sudden at all. I immediately felt guilty about it -- and, of course, I immediately gave my consent and welcomed him to the family. I did have a couple of questions. Have you decided where you will live when Older Daughter finishes nursing school? I'd heard he was looking in Indianapolis (where his family lives), Chicago, and Boston. Boston, he said, had dropped out of the picture, but both Chicago and Indy were still under consideration. Then I asked whether he was supposed to give me goats and cattle or whether I was supposed to give them to him. He said he looked it up and dowries are usually put up by the bride's father. "Is that so?" I asked. "Well, in that case, we don't believe in dowries." Fast forward now to Saturday evening. Older Daughter had promptly consented to the proposal at dinner on Friday and now, 24 hours later, Long Suffering Spouse and I had both Older Daughter and the Boyfriend in the den for some serious conversation. They'd gone over to the parish church to inquire about open dates this summer, but the Boyfriend wanted to see when his church was open, too. The Boyfriend is not Catholic. He's Episcopalian -- and very involved in his church, particularly with the church choir. While weddings usually take place in the bride's home parish, the Boyfriend was clearly hoping to have it at his church in Indianapolis. And, since the Boyfriend is an only child, Long Suffering Spouse and I have long known that this was a distinct possibility. Older Daughter was compiling a list of pros and cons. Long Suffering Spouse and I told them -- again -- how we'd paid for our own wedding. The advantage of this is that we could invite who we wanted, go where we wanted, and limit all the well-meaning and maddening interference provided by parents and friends. We could choose whether to accept offers of assistance. We agreed to the request made by Long Suffering Spouse's father that he be permitted to buy the wedding dress. We agreed to my father's request that he be permitted to provide the band. But it was our show. We told Older Daughter and the Boyfriend all this (and offered to buy the dress). We told them that, no matter where they decided to hold the wedding, there'd probably be people who'd have to beg off because of the distance involved. You just can't please everyone when you plan a wedding. The Boyfriend said most of his relatives would have to travel to Indianapolis anyway -- he still has both sets of grandparents living -- in Florida, I believe. He said his choir would come to Chicago, too. I said most of our friends and my cousins have kids -- a lot of them teenagers at this point -- who couldn't be left alone for the weekend. Most of them would not be able to attend. "I'd have no representation!" said Older Daughter. I said this isn't an election. We would be there, wherever they wanted to go. Older Daughter had been pretty involved in our church, too. She used to work at the Rectory. She wanted one our parish priests to participate in the service, wherever it would be held. "Not in Indianapolis," I told her. "It's too far for either of them to come for just the day and Sunday is kind of their busy day." "Oh," said Older Daughter. "I suppose." She jotted things down and Long Suffering Spouse began to hold out hope that she might come around to the point of view we were rooting for: Have the wedding in our Chicago church. I was watching the Boyfriend, though. He was using the computer in our den and, from my chair, I could see that he was navigating in his own church's website pretty much the whole time. Now I haven't said much about Long Suffering Spouse's reactions to these developments. Those of you who've visited here for some time have probably come to know Long Suffering Spouse as a practical, level-headed sort of person, not prone to silly or extravagant displays. Saturday morning, this level-headed practical sort went out to the store, in a heavy snowstorm, and bought a huge stack bridal magazines. Each one of these magazines, by the way, weighs about 10 lbs. But that's another essay entirely. We suggested that Older Daughter and the Boyfriend needed to talk to his parents before making any decisions. The Boyfriend's father is in politics in Indianapolis. If the wedding were there, he'd probably have to invite a truckload of people. At least, in my experience, the largest weddings I've ever been at were those where someone in one of the families was in politics. The Boyfriend's father might even see it as an advantage to have the wedding here -- people would be less likely to take offense at not being invited, etc. The kids had driven here separately, of course. Otherwise, the Boyfriend couldn't have had his surreptitious interview with me on Friday afternoon. And he was leaving at the crack of dawn on Sunday to sing with his church choir. Older Daughter balked at heading to Indianapolis; she wanted to spend more time at home. But, no, we said, better that you go. His family will want to see the ring and the choir (with which she also sang during her year in Indianapolis) would want to make a fuss. He left at 5:45 am. Older Daughter followed at 6:30 am. Before 9:00 am, Older Daughter had called, from the road, with a decision. They'd been talking on speakerphone all the way and they'd decided to have the wedding in Indianapolis. I hadn't figured it any other way. Yes, this hurts a bit, I told Long Suffering Spouse, but this is what happens when we say we'll stand by them whatever they decide: They might decide in ways we don't like. People can't be expected to drive all that way for a wedding, Long Suffering Spouse told her. Again. And again. And it's rude to invite people to something that you know they can't attend; it makes you look like you're merely grasping for gifts. "You're punishing me for choosing to have the wedding in Indianapolis!" cried Older Daughter. I wasn't on the phone but I heard that one. That's when I lost my temper, ignoring Long Suffering Spouse's sharp whispers with her hand over the receiver, "Shhhh! She can hear you." She pulled her hand off the receiver and tried to smooth things over, "No one is punishing you," she said, "it's just too far for most people to go unless they're really, really close to you. We'll be there. But people with families have sports to work around, and their own family events, and can't leave teenagers home for a weekend, and you're asking people to stay the night at least --"
At some point Long Suffering Spouse realized that Older Daughter had hung up on her. Older Daughter called back to apologize, later, but she apparently still has delusions of her side of the church being packed. I don't know if I'm going to last that long. Every solo practitioner has had many dark moments. Moments when you realize that the phone hasn't rung except for sales calls, bill collectors, or reminders by your spouse to pick something up at the grocery on the way home. We shudder in the silence of our empty offices. We stare mournfully at the phone. We practically assault the letter carrier when s/he arrives. Is there a check today? And all the while we think, will there ever be a check again? In a firm, the workload is more spread out. And there are people with whom you can discuss your fears. Maybe. Maybe they can reassure you that you're fine, the work will be picking up momentarily. They might even ask you to help out on something they're doing. (Of course, they may also stab you in the back at the next partnership meeting... because you're so unproductive... but that's another story.) At the really big firms, when things are slow for a particular lawyer, there are always committee meetings. If you're senior enough, you can schedule these meetings according to your whim, thereby lessening the productivity of your rivals while still apparently doing something productive. But I digress. This happens, sometimes, when you sit alone in an office. Waiting for the phone to ring. Checking it once an hour to see if it still has a dial tone. Now... here is the paradox. The phone at long last rings. It is a prospective new client. Shouldn't there be joy unbounded? The worst cases I have ever taken on -- the ones that have given me the most heartburn -- the ones on which I was most likely to get stiffed -- have come in on "slow days." Today is not a slow day for me. On my desk are three hideously tangled pieces of litigation. None of them concerns a significant amount of money. They are cases of principle. "Principle" is a legal term meaning that no matter how good a result you achieve for your client, he or she will still be outraged by your bill, especially since everyone should have immediately seen the obvious justice of your client's position in the first place. And heaven help you if you don't win. These cases generate a lot of fees for a lot of lawyers and most of the lawyer jokes you've ever heard. Or told. I have different tasks in each one of these canine cases. But I didn't start any of them. I don't know two of the three lawyers, all solo practitioners, who are responsible for these abominations. (There are something like 50,000 lawyers in Cook County, so I make no apologies for this.) But I do know the third one. Because of my assigned role in that particular matter, I may never have the opportunity to talk to him about the case. But if I did, and if I asked, I wonder if he'd tell me that he picked up this business on a really slow day. I'm pretty sure I know what his answer would be. Go on -- you've never done this? Sometimes, late at night, I dream about becoming... a Republican. I've never taken a Republican ballot in a primary election (how I vote in a general election being my business entirely) but... with Rod Blagojevich... the highest sales tax in the nation (courtesy of the Democratic Cook County Board)... increased fees for every kind of service... and all the many corruption cases pending... I can't help but think about switching sides. Also, there's something attractive about becoming a big fish in a small pond. There aren't many ponds smaller than the Republican Party in Illinois. Democrats control both houses of our legislature and all statewide elected offices. True, I live in a corner of the City of Chicago where we have a Republican alderman (the one and only in the City Council) and a Republican state representative (the one and only who represents any part of Chicago). Some people think that these guys exist because, at least in our area, people who live here are smart enough to be disgusted and vote against the status quo. I'm not convinced. I think there are lots of people living elsewhere in the City who are at least as smart as, and maybe a whole lot smarter than, my neighbors. I think the Environmental Protection Agency has something to do with it. In fact, I think the Republicans would be pleased to have as many Chicago members as there are spotted owls. And, besides, the Republicans have their troubles, too. And I'm not talking about George Bush. 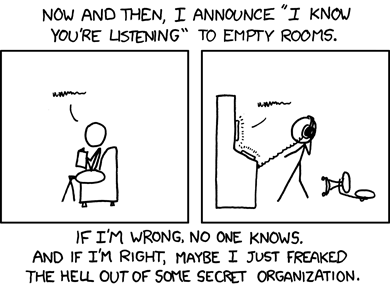 Or even Larry Craig. In Illinois, Republicans have cozied up with the dominant Democrats in order to get some space at the corruption trough. Republican fundraiser William Cellini is currently under indictment. George Ryan, Blagojevich's predecessor, is still in the slam. Republicans and Democrats are currently vying with each other to see who can feign the most shock at Blagojevich's behavior. But that hasn't stopped Democrats from caving in to Blagojevich's appointment of Roland "Tombstone" Burris -- he may not be seated today, but it is only a matter of time now. After Blagojevich's arrest, the overwhelming Democratic majorities in both houses of our state legislature had the opportunity to pass a bill calling for a special election to fill Obama's Senate seat -- but they took a pass, figuring that Governor-in-Waiting Pat Quinn would appoint someone who could lead the Illinois ticket in 2010. Blagojevich crossed them all up by appointing someone who has lost his last four bids for statewide office. 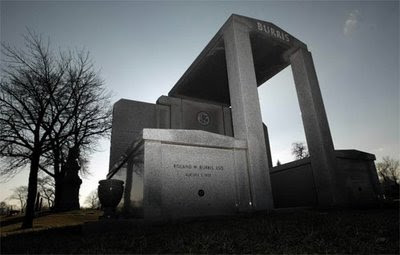 And Mr. Burris has no intention of chiseling only a two year Senate term on his elaborate mausoleum. Other people can talk all they want about him stepping aside 2010; he may even say he agrees to it. But promises of future performance are notoriously unenforceable. The sort-of-funny thing is that, if Burris sticks to his guns, the very same people who are wringing their hands over his appointment now will unite behind him in 2010. You read it here first. The first rule of politics is get your own guy in office. Failing that, keeping the other guy in office becomes a paramount priority over losing the office to the other party. Remember, every Senate Democrat signed a letter saying they'd never let any Blagojevich in their club. Then someone pointed out that someone like Republican Congressman Mark Kirk might win a special election, if one were called. An about face was duly executed. Of course, the Democrats count on We the People to forget. We usually do. No, in the harsh light of morning, I figure there's no point in joining the Republicans. I wonder if I could revive the Whigs? Q. When is a church not a church? A. When it is used to store arms, ammunition, quarter troops, and/or as an observation platform or command post. Then it is a fort and a legitimate military target in time of war. The same answer applies where the building in question was originally used as a hospital, school, or mosque. Israel is being castigated, as always, because its attacks in Gaza have damaged or destroyed buildings that had been mosques or schools. In at least one case the building was apparently still being used as a school. Perhaps that school was never used as a fort; the truth may never be known until the 'fog of war' clears. Who knows when, if ever, that might happen? Talking about anything in the Mideast triggers strong emotions. It may be better, then, to consider this question in light of an historical example. The famous Abbey of Monte Cassino comes to mind. Founded by St. Benedict, the monastery occupied a commanding position on a mountain ridge that invading Allied troops had to obtain in order to secure the route to Rome along the Liri valley. According to the Wikipedia article on the Battle of Monte Cassino, German Field Marshal Albert Kesserling ordered his troops not to include the monastery in their defensive lines. The Germans exempted Monte Cassino from their plans because of the historical significance of the site. It was Holy Ground. This information was passed along to the Allies. But the Allies didn't believe it. Some -- but by no means all -- reconnaissance flights reported seeing Germans in the abbey. Even now, 64 years later, there is still debate over the extent to which the reports of German presence were erroneous, or even fabricated. The consensus, though, is that the abbey was not occupied by the Germans. Nevertheless, eventually, the Allies bombed the place into rubble -- and, whether there had been Germans there or not before, the Germans poured into the ruins immediately after the bombing and defended them to great, if temporary, advantage. It is well established, now, that hospitals and mosques in Iraq were used as cover for weapons or ammo dumps. It is a particularly cruel tactic for a defender to install his defenses in such locations -- it dares the attackers to risk opprobrium for reducing the targets (that's the perceived advantage) -- but, of course, it also needlessly sacrifices the defender's own civilians. When some schools or mosques or churches or hospitals are used for military purposes (with or without a 'covering' and continuing non-military use) it creates the too-reasonable suspicion that all such buildings have hidden military uses, regardless of appearances. Almost a quarter of a million bucks for having to cover up a t-shirt? JetBlue Airways and the American government (on behalf of two TSA employees) have paid $240,000 to Raed Jarrar in settlement of his claim arising from a 2006 at Kennedy Airport in New York, according to this AFP story reported last evening on Yahoo! News. [Jarrar] was told other passengers felt uncomfortable because an Arabic-inscribed T-shirt in an airport was like "wearing a T-shirt at a bank stating, I am a robber,'" the ACLU said. There is, I confess, a part of me that sympathizes with Mr. Jarrar: He had done nothing wrong. And I find it pretty easy to get upset about the narrow-minded bigotry of people who seem to become reflexively "uncomfortable" in the presence of someone like Mr. Jarrar. But... I recall flying once with a colleague -- well before 9/11 but shortly after a story had been widely disseminated about two airline pilots getting busted for reporting to work drunk. We were boarding the plane and the flight crew was greeting passengers as they boarded. My colleague, a nervous flyer, made some offhand remark, something like, 'these guys look sober enough' -- and I felt the temperature drop 50 degrees. The smiling pilots stopped smiling. "Do you realize we can ground this flight?" they asked. We can have you removed, they said. We will take blood tests right now, they said. Various federal regulations were cited. Profuse apologies followed and the situation resolved peacefully... but this experience taught me that, even before 9/11, airplanes were somehow different from public places. Also, I can't shake the feeling that Mr. Jarrar's wardrobe choice that day was 100% intentional. I'm willing to bet that he had another t-shirt available to wear for the flight. Maybe one that said "Yankees," for example, since the flight was originating in New York. In other words, I can't help but think that the airline and the TSA were set up. And, all of a sudden, my sympathies vanish. It wasn't mad Methodists or lunatic Lutherans who hijacked airplanes on September 11. No, the 9/11 hijackers all claimed to be devout Muslims. It is unfair that hard-working, God-fearing, patriotic American citizens who happen to be Muslims are eyed with suspicion in airports -- sometimes even prevented from immediately completing their travel plans. But it is a fact that some self-professed adherents of Islam have declared war on the West in general and on the United States in particular. Why, then, is a certain degree of caution -- directed specifically toward Muslims and not toward everyone in general -- inappropriate? A hundred years ago, members of other ethnic groups tried to combat nativist prejudices by trying to look and act more American than the Americans around them -- by learning and using English exclusively, even in the home. Clerks at Ellis Island Americanized a lot of family names -- but a lot of immigrants did this on their own, too. I guess in this day and age these coping strategies would be considered somehow demeaning. I don't really understand why, though: If I were to move to Saudi Arabia or Iraq, I'd make darn sure I looked and acted as little like an American as I could. The linked AFP article does not explain the legal theories underlying Mr. Jarrar's complaints in any detail. I would have liked to see those. Maybe looking at the statutes involved would explain the amount of the settlement. Instead, we have a quote from ALCU lawyer Aden Fine: "The outcome of this case is a victory for free speech and a blow to the discriminatory practice of racial profiling." I see it's a victory for Mr. Jarrar. But I'm just not sure about the rest of it. 1. In 2008, I learned about giant, stinky flowers. OK, I'd read about these somewhere, sometime before. But for Heads or Tails #42 I spent some time with Wikipedia looking up and reporting on the details. A 2002 article in the National Geographic (linked from my original post) says that the scientific name "provides a clue as to why matrons of the Victorian age prevented young ladies from seeing" the flower in bloom. Looking at the pictures may provide another clue. 2. In 2008 I learned that Mary Ann from Gilligan's Island got busted for marijuana possession. 3. In 2008 I learned that the printed due date on the credit card bill may not be the real date on which the bill is actually due. Maybe everyone else knew this already, but I thought that when the credit card said payment was due on Day X and when the credit card company accepts payments on line, that one could pay the bill, on line, at any time on the due date and still be "on time" -- thereby avoiding the $39 late charge and jacked-up finance charges and the various other traps credit card companies set for the unwary. [T]his particular bill from Soulless Megabank, though large, was something I had hopes of paying off entirely by the due date... last Sunday, June 29. It depended on funds being received... and the last of these trickled in on Friday the 27th. Now for one reason or another I couldn't get to the nearby branch of Soulless Megabank before 4:00 pm on Friday -- that being the latest time that one can pay in person without having the payment carry over until the next business day... Monday... which would have been a day late. But I did not despair. I have online access to this account. I planned to pay the bill online. I recently did this with American Express: When I went to pay online, the site asked if I wanted to make the payment immediately... or if I wanted to make it on the due date itself. Well, wouldn't you have done the same? Thus my plan for the payment of the bill from Soulless Megabank. I correctly remembered both my user name and password. I navigated successfully through the security challenges. I brought up my bill... but when I went to pay it, Soulless Megabank said it would be only too happy to take my money, but it wouldn't post the payment until Monday, June 30. A day late. A day late? It was the evening of the 27th and the bill wasn't due until the 29th. It all worked out happily, although I stressed more than a couple of blood vessels in my neck in the course of my discussions with the customer service people at Soulless Megabank. Bonus. In 2008 I learned that a lawyer from the South Side of Chicago can be elected President of the United States. Not me! -- even though I'm a lawyer originally from the South Side of Chicago, I couldn't get elected dogcatcher. Of course, I already knew that. Interestingly, although the President-Elect has very publicly identified with another Illinois lawyer, Abraham Lincoln, in some ways Mr. Obama more closely resembles the man Lincoln beat in 1860. Stephen A. Douglas was a Chicago lawyer; Lincoln was from Sprinfield. Douglas was a U.S. Senator; Lincoln served only one term in the U.S. House (Douglas beat him in a race for the Senate in 1858). Lincoln was a Republican; Douglas was a Democrat. Of course, Douglas favored the expansion of slavery into the territories (under the seemingly innocent-sounding doctrine of 'Popular Sovereignty')... so it's not hard to see why Mr. Obama was not eager to draw these parallels. And -- one other thing -- Camp Douglas, named for the Senator and situated on land provided by the Douglas Estate (the 'Little Giant' died in 1861) became infamous for the harsh treatment meted out there to Confederate prisoners of war. It has been called the Andersonville of the North. Baseball Hall of Fame: Why are the writers so picky about choosing members of a club they could never join themselves? When I was in high school, where a person was seated at lunchtime was a mark of his or her true social standing. One did not presume to plop one's tray down just anywhere, you know. And if anyone were so presumptuous, the persons with whom he'd chosen to associate would quickly, and sometimes cruelly, disabuse him of that notion. This may not be the most attractive aspect of human nature, but it is human nature nonetheless: We choose our companions. We reject those we do not deem worthy of our favor. We seek out and curry favor with those whom we believe may enhance our own status. We differ from our fellow primates mostly in the fact that, at least in most modern American high school cafeterias, we seldom groom one another by picking lice out of each other's fur. So I can understand, even if Ron Santo can not, why the Veterans' Committee of the Baseball Hall of Fame is so darn picky about letting new members in their club. But the Veterans don't get the opportunity to snub their fellows until the Baseball Writers Association of America has had a 15 year turn at quashing the hopes of Hall of Fame aspirants. These thoughts were prompted by the Chicago Sun-Times' Rick Telander, whose column this morning explains his Hall of Fame ballot. The linked column doesn't have the ballot reproduced; I grabbed a copy of Mr. Telander's ballot for this post from the print edition. 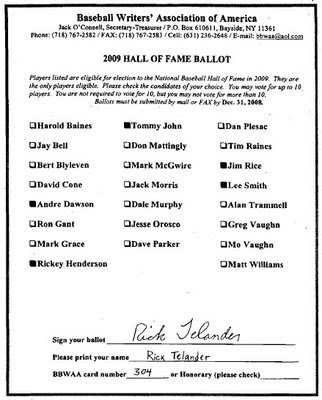 I do not criticize Mr. Telander's mere handful of selections -- but I wanted you to see the entire ballot because so you can see for yourself who he did not select. If I were the least bit objective, I might understand a debate about whether Harold Baines qualifies. But I'm a White Sox fan and in no way objective. Besides, Baines played on one leg most of his career. True, that limited him to being a DH -- and only 2,866 hits. Only! How many players with two good knees get 2,866 hits, eh? And there's a good case to be made for Bert Blyleven, too. And maybe you could make others. No one should have to make a case for Mark McGwire. Yes, he is tainted by association with steroids. He also hit 583 home runs. There were a lot of kids ruining their health by taking juice at the same time who never made the majors, and a lot who did make the majors were never stars. I'm on record as saying that if the taking of these substances, banned or not, legal or not, was as widespread as it now seems, then there was probably a level playing field. And McGwire rose bloated head, shoulders and torso above that field. Besides, official baseball winked and looked the other way as McGwire and Sammy Sosa thrilled the country with their home run duels. Isn't it the height of hypocrisy now to dump on the guy? That doesn't mean I would like to look the other way now. In fact, I feel quite strongly that chemical enhancements, and the cheaters who would use them, should be banned from the game. But McGwire belongs in the Hall for what he did on the field, not what he took in the lockerroom. Mr. Telander concedes the writers are "ultraselective," but thinks that's alright. I don't. Anybody can figure out what Hall of Fame numbers are: We know what the numbers are of those who are enshrined and we can compare them to those who seek admission. The writers' function should be to decide that this career .300 hitter doesn't get in because he never seemed to get a hit with runners in scoring position -- or because so many of his homers came in blowouts, not in game-winning situations -- but that a career .275 hitter might be worthy because his hits came when the game was on the line. Let's cut the sanctimonious guardian nonsense. OK?